Thank you for your visiting and your interest in NoteBurner products! NoteBurner 2017 Mother's Day Special Offer is over now. ✔ Convert Apple Music to MP3/WAV/FLAC/AAC. ✔ Remove DRM from M4A/M4B/AA/AAX audiobooks. 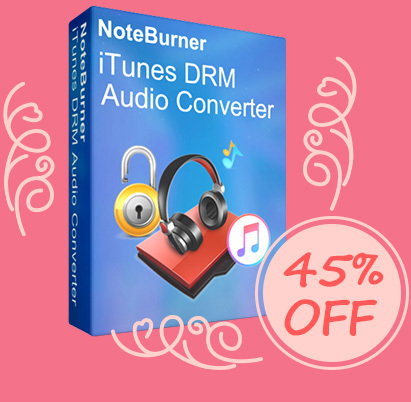 ✔ Convert iTunes M4P audio to MP3/AAC/FLAC/WAV. ✔ Convert at 20X faster speed with lossless quality. ✔ Keep ID tags information & ease-to-use. ✔ Free lifetime upgrade & technical support. ✔ Remove DRM from iTunes rentals and purchases. 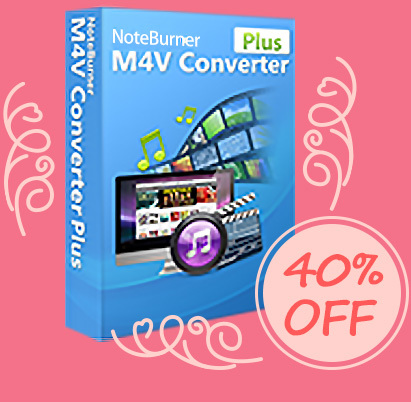 ✔ Convert M4V to MP4, MOV, AVI, etc. ✔ Keep AC3 5.1 audio and all subtitles. ✔ Bypass DRM 20X faster with lossless quality. ✔ Customize output video with more flexibility. ✔ Support the latest version of iTunes. 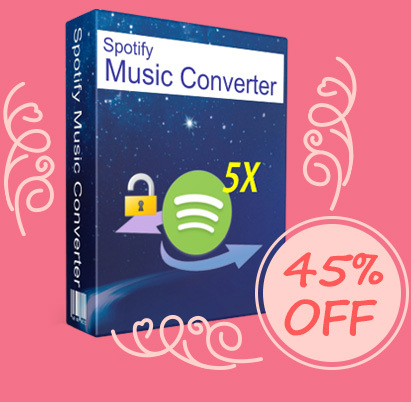 ✔ Convert Spotify Music to MP3, AAC, WAV, FLAC. ✔ Convert at 5X faster speed with zero quality loss. ✔ Keep ID tags and easy to use. ✔ Support the latest version of Spotify.